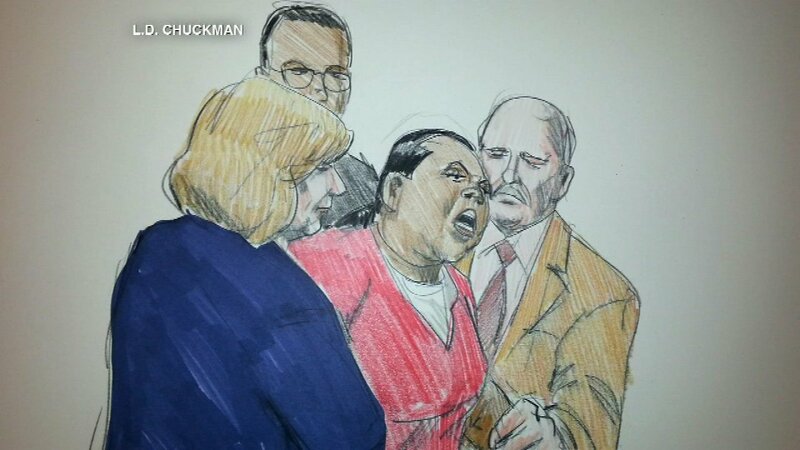 CHICAGO (WLS) -- There was an outburst in a courtroom Tuesday by a woman charged in the shooting death of 14-year-old Endia Martin. Vandetta Redwood screamed out "I didn't do this" And then had to be removed from the federal courtroom by security officers. The 34-year old was indicted on charges of supplying a gun to a teenage relative, which prosecutors say was used to kill Martin in 2014. The teenager niece used the gun to kill Martin and wound another girl while they walked home from school in the Back of the Yards neighborhood. Redwood also fired her attorney Tuesday. She is due back in court next week.